Livingstone International Pty Ltd is a supplier of medical, surgical, dental, veterinary, pharmacy, childcare, laboratory, beauty, scientific, educational and office supplies products. The Quality Management system has been designed to conform to ISO 9001 and meet the requirements laid down by the Australian Standards Association. This Quality Management System has been designed and implemented as a means of ensuring that products supplied by Livingstone International are of the highest quality, and in every case meet the needs and requirements of Livingstone customers. The quality and reliability of Livingstone products is the concern of every person in the organisation and not just the sole responsibility of Quality Assurance personnel. It is an important requirement of this policy that the Company would supply its customers with the products that are suitable for their intended purposes and that conform to the relevant agreed specifications or contract. Wherever Australian Standards apply, Livingstone ensures that the products supplied conform to the appropriate standards. For therapeutic goods, the company adheres to the import labelling requirements and guidelines stipulated by the Department of Health. The procedures outlined in the Livingstone International Quality Manual describe how the quality system is designed to ensure that customer requirements are recognised and that consistent control of those requirements are established, implemented and maintained. Proper adherence to the policy is a requirement of every aspect of the company's business. This policy is issued to clearly indicate Livingstone attitude with regard to quality and other related matters. Such policy-initiated actions are essential for long-term success in maintaining a competitive position by reputation as well as in achieving customer satisfaction. Most orders are processed within 24-48 hours (1-2 business days). We do our best to process within this timeframe. Orders placed on weekends or holidays will be processed on the next business day. Orders are shipped Monday through Friday, (except major holidays). WE DO NOT SHIP ORDERS TO P.O. BOX ADDRESSES. Most orders are delivered within 3-7 business days depending on location. Please allow few more days if you are located in remote areas. In Australia, freight handling and insurance charges are calculated based on post code and order value. Country Additional fuel surcharge may apply (dependant on post code)? please contact our customer service representatives for additional clarification. Price are exclusive of GST. All orders over 10kg will be subject to additional freight charges. Goods will not be delivered until payment is made to Livingstone except trade account customers. Upon receiving Cheques, please allow 3 business days for them to cleared before order is released. All orders may be subject to minimum handling fees of AUD 3.85 (Inc. GST). For overseas delivery, customers will be informed the freight cost by email, and the customer must approve the freight charge by email or fax before delivery. Livingstone International Pty Ltd. collects information from visitors to this web site when registering or participating in on-line surveys. This information is used to fulfill orders and to improve the content and function of this web site. Information collected here is not shared with other organisations. Livingstone International Pty Ltd. does not sell or rent its customer list. If you supply us with your street address, e-mail address or phone number, you may receive periodic mailings, fax broadcasts or calls from us with information in regards to new products and services which we have to offer. If you do not wish to receive such mailings or calls, please contact us. We may use a cookies file containing information that can identify the computer you are working from. The cookies file is anonymous as it only gives us details of your IP address, PC platform (eg. Windows, Solaris, Mac, etc. ), Browser (eg. Microsoft IE, Netscape, etc. plus the version of Browser) and domain (whether you are accessing the site from Australia or elsewhere). All orders are to include item code, product description, quantity, price and freight and handling charges (see below). Orders may be placed by phone, fax, mail or e-mail. Please quote your order number and payment details. ONLY NEW ONLINE CUSTOMERS are eligible to join the promotion. New Online Customers is activated when the First Order is placed and paid. 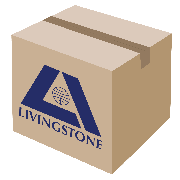 Please email your Bonus fulfillment request to sales@livingstone.com.au for action. Please indicate the invoice number, and the name and address of your nominated recipient. Gift Voucher will be sent by Express Post within 5 days of request. Livingstone International reserves the right to disqualify any claim. All Online Customers are eligible to join the promotion. Customers are entitled to receive a AUD 1000 Cash Bonus or Supermarket Vouchers upon breaking the record of both the Number of Items Purchased and the Total Order Value. As of 01 November 2017, the record parameter to break is 65 Unique items purchased and Order Value exceeding AUD 6,700.00. As the record is broken, the website will be updated accordingly. Cash Bonus claims must be emailed to sales@livingstone.com.au. Please indicate the invoice number, and the name and address of your nominated recipient. Bank Cheque or Gift Voucher will be sent by Express Post within 5 days of request. Livingstone International reserves the right, at any time, to disqualify any claim. Due to the outbreak of Swine Influenza A (H1N1), there has been an unexpected high demand for face masks in recent times. As a community service, Livingstone International maintains a high level of inventory of most popular products to meet sudden surge in demand. Please contact our sales department for specific pricing and availability. Due to hygiene reasons, all face masks sales are final, and Livingstone International will not be accepting any returns, exchanges or refunds of all face masks orders, as permitted by law. All website orders must be paid by VISA, MasterCard or Bankcard. The cost of recovering any default of payments will be borne by the customer. Court in NSW has sole jurisdiction. The goods remain property of Livingstone International Pty Ltd until full payment is received. Insurance is always the responsibility of the overseas customers; we do not insure export consignments. Prices are negotiable for bulk requirements. Please contact our sales department. Prices are quoted in Australian dollars. We reserve the right to rectify prices quoted in the invoice, if found to be incorrect. Common types and sizes are usually available in stock. Unpopular products types and sizes will require minimum 4-6 weeks delivery time. We endeavour to stock all items displayed in this catalogue at all times. However due to unforeseen or unexpected circumstances there is always a possibility that we may temporarily run out of stock of a particular stock item. We will exercise our discretion and supply an alternative brand of comparable quality to save you the convenience of back ordering. If back ordered item is no longer required, please advise our after sales service. Price are inclusive of GST. Upon receiving Cheque, 3 working days clearance must be allocated before order is released. We will do our best effort to delivery your goods fast and safe, however, we will not be liable for any misdirected deliveries if it was proven that it was due to an incomplete address, we urge you to enter the complete street address. Prior approval must be obtained from our after sales staff on 1300 556 556 or email our sales department before returning goods. A Return Authority Number (R.A.N.) form will be sent to you once the return is authorised. The form is to be attached with goods together with a copy of our delivery docket/invoice and any other relevant correspondence. Any claim for incorrect shipment, faulty or damaged goods on delivery, must be made within five working days of receipt of goods. Goods will be accepted for credit or replacement at the sole discretion of the management of Livingstone International. Livingstone International Pty Ltd will arrange for goods to be collected, unless otherwise agreed in writing. If the goods have been returned without any written authorisation by Livingstone International Pty Ltd, the company will not be responsible for any charges (for any reason) such as freight, insurance and custom duty etc. Claims for breakages must be referred to your insurers. We do not insure export consignments. Goods returned due to orders placed incorrectly will be subject to a 10% restocking fee with a minimum fee of AUD 20.00. Livingstone International Pty Ltd reserves the right to refuse or delay credit or replacement unless the procedures for the return of goods have been followed. Livingstone International is committed to delivering a positive and proactive response to climate change for our company and our customers. We are continuously researching ways to gain a better understanding of climate change and the effects for our organisation and the environment. Livingstone International was recently awarded certification ISO 14001. Our commitment ensures that our Environment Management Systems allow us to become an Environment Endorsed Company, certified by ISO 14001. But it doesn’t stop there. In the 2010-2011 financial year, Livingstone International began working with the Department of Environment and Climate Change NSW to ensure that we are constantly improving and refining our environmental policies throughout our entire business. We recognise the importance of leading a business that cares for the environment and are dedicated to ensuring that the impact of Livingstone International and the environment is as positive as it can be.